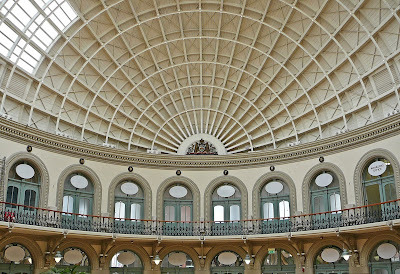 Leeds Corn Exchange is one of Britain’s finest Victorian buildings and a Grade 1 listed structure. Designed by Cuthbert Brodrick and completed in 1864, Leeds Corn Exchange holds tremendous significance both as an architectural masterpiece and cultural icon.Leeds Corn Exchange is proud to champion the very best in creative, innovative and independent retail enterprises, and the building’s striking features provide the backdrop for a unique shopping experience. 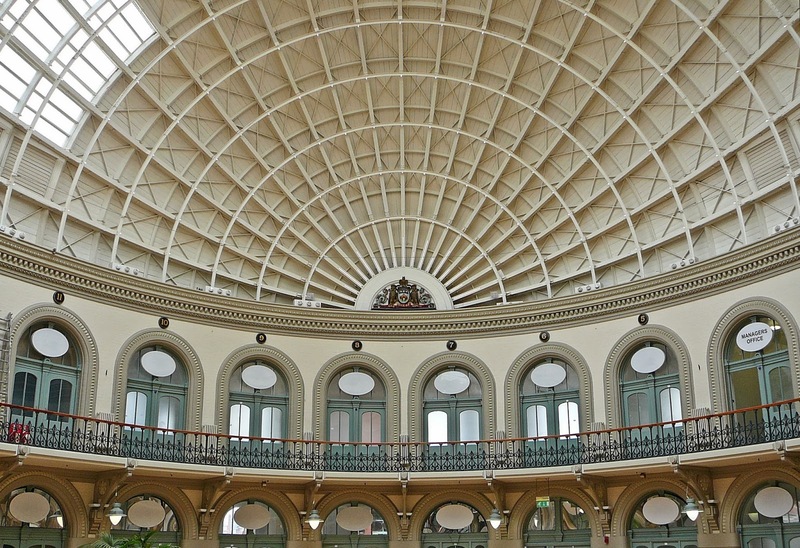 Now just one of three Corn Exchanges in the country which still operates in its traditional capacity as a centre for trade, Leeds Corn Exchange sits at the heart of the local community. The Corn Exchange is a beautiful building and there is already a crowd there who are into the arts and craft world. The shops are on the small side however the spaces are quite intermit and charming which may help us manage our project, especially (worse case scenario) if we don't get a substantial amount of submissions. 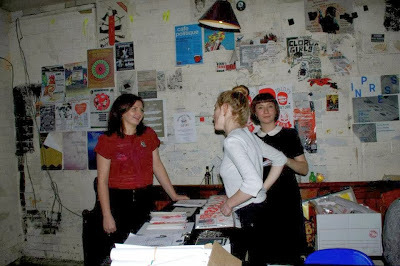 We also talked to general management there and we discussed our idea about a pop up shop / exhibition and cost. Surprisingly they told us that it would be only £100 to rent out a top floor space at the Corn Exchange for a week. The events room is also available for daytime use by community groups, interest groups (craft, reading etc), wellbeing classes (yoga, meditation etc) and other uses as appropriate. As long-term residents of the city we are well aware of the lack of affordable city centre space for these kinds of activities. I went to an event at Wharf Chambers in second year, where Spur was doing their launch party. It was great environment for creatives to come together with a grungy DIY bar and basement. I remember the lighting being quite dark so I am not too sure how that will effect the display of our exhibition. The space is also very cheap to rent out. The primary aim of White Cloth Photography and Film is to provide a unique space for established artists to exhibit and elevate projects of particular importance while at the same time providing a platform for emerging artists to showcase their work. 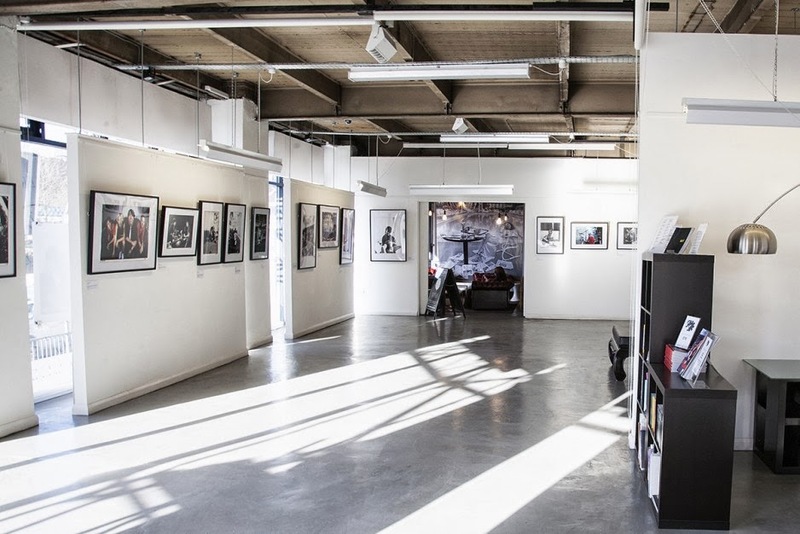 The gallery and its events space also has a pioneering vision to support the artistic community, encourage creativity and work alongside other local arts organisations to aid the city’s burgeoning development as a cultural centre and to become a go-to destination for art lovers everywhere. The White Cloth Gallery was a super smart and sophisticated space with a trendy and well coming bar area at the front and three gallery sections that spread throughout the building. The only space they had to offer us was the first gallery space which was held in the cafe area. The women we met explained that we were able to move the furniture out on the launch night however the cafe would have to run as normal the following day. The space was free however Nathan and myself both felt the space was not big enough and did not cater for our vision as there was also wall hanging restrictions. Spread over three floors the venue comprises two bars, two kitchens, a 200 capacity event space and a spectacular roof terrace. 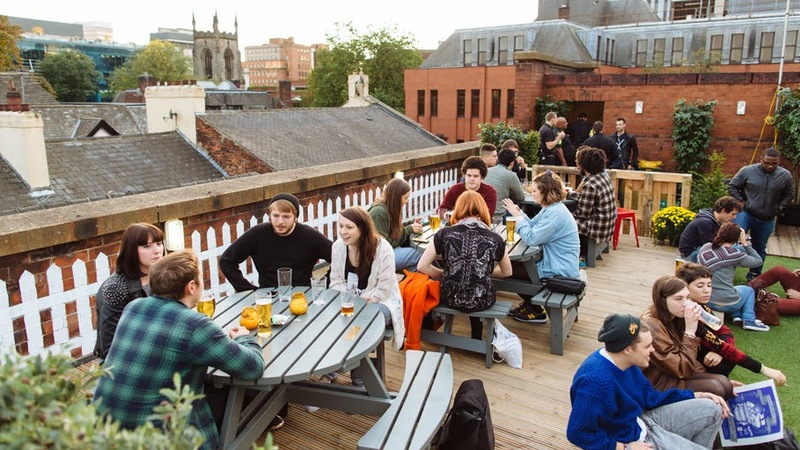 We host live music, comedy, film and art exhibitions and serve fresh, canteen style food, amazing cask ales and premium craft beers as well as frozen cocktails and a wide range of teas and coffees. Belgrave is a great space with 3 separate floors rich with space (including the roof terrace) Amongst the target audience who go there, there are creatives and musicians. This would be a perfect place for people to come and meet, as there is food and drink catered for on site. We emailed Belgrave but we have not yet heard back from them. They have just opened so maybe they are high in demand or still working out what they are doing with the space. I guess we would have to consider that it is a working bar and the exhibition could not get in the way. 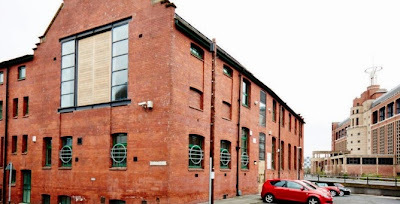 Leeds Gallery Munro House is an independent commercial art gallery in Leeds, West Yorkshire specialising in Photography, Illustration and Fine Art. With a focus that is both local and national the gallery’s aim is to support local arts and culture while also bringing artists and their work to the city from further afield. Exhibitions are on a 4 week turnaround. Work is hung using a flexible cable and track-based system, meaning we are able to take the space back to a ‘white box’ relatively quickly – this is particularly useful for ‘pop-up’ exhibitions and events. Leeds gallery is a great space however Leeds Print Festival uses the gallery in the spring, plus we think the space is out of our price range. The gallery however is light and airy and has a cafe next door along with Colours May Vary (a fantastic shop) selling beautiful books, prints and magazines. Outlaws is a great place in the centre of town, it is trendy and serves an array of unusual drinks. I am unsure how much wall space they have but there is a lot of floor space to work with. I guess we would have to consider that it is a working bar and the exhibition could not get in the way. 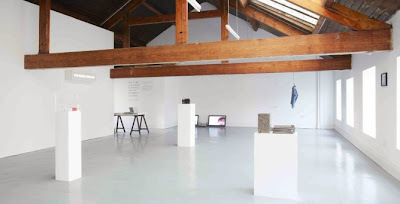 PSL [Project Space Leeds] is an organisation that engages creatively with the practice of contemporary visual art. 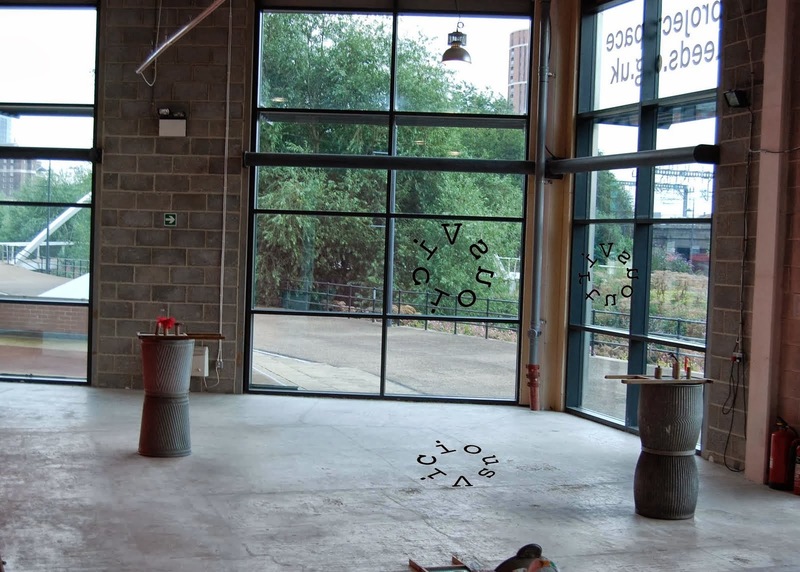 Founded in 2006, an ethos of supporting, enabling and working collaboratively with practitioners and producers is central to our philosophy..
We enable the production and dissemination of visual art through the programming of our project space and associated activities including events, mentoring, residencies, commissioning, publishing, and off-site projects. We aim to create opportunities for creative dialogue between practitioners based in Leeds and elsewhere and to position the city on the national and international visual art radar. The space seems great, especially when looking at past exhibitions. Our main concern is that it isn't in the most accessible of places in Leeds. East Street Arts is a contemporary arts organisation in Leeds. Our mission is to focus on the development of artists through our events programme, membership activities, professional development and studio/facility provision. We are not sure what exactly Eat street arts do, however the projects they are working on look exciting and we are currently awaiting their reply. Mexico is a space set up and run by artists and curators. Based in Leeds UK, the space was set up to promote curatorial projects in the city. Aiming to facilitate a variety of artists' works and curatorial ideas from around the UK and internationally. Mexico Space looks like a fantastic place to hold an exhibition. 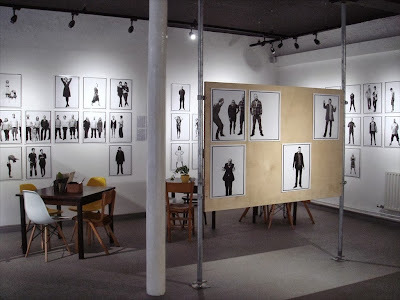 The look and feel of the space is way up our street, and past exhibitions have been on blogs that we have looked at for inspiration for curating exhibitions. We are currently in the process of email them further details of our idea. 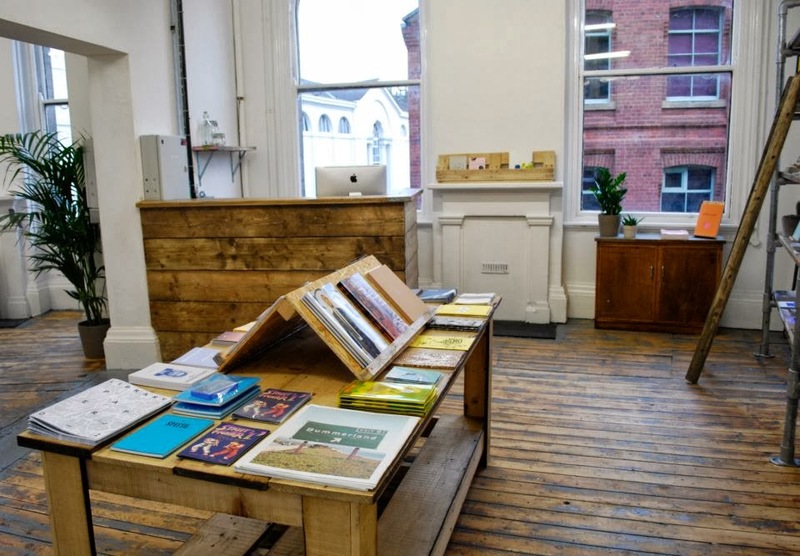 Village is a new art book store, gallery and publishing house based in The Corn Exchange. We offer a curated selection of contemporary artist books, creative magazines and self-published zines from independent publishers, artists and collectives around the world. Village book store is great space in the Corn Exchange. They put on exhibitions which attract the same target audience. The space however is quite small and we have to consider that our artwork would have to sit along side the books and zines in the shop.